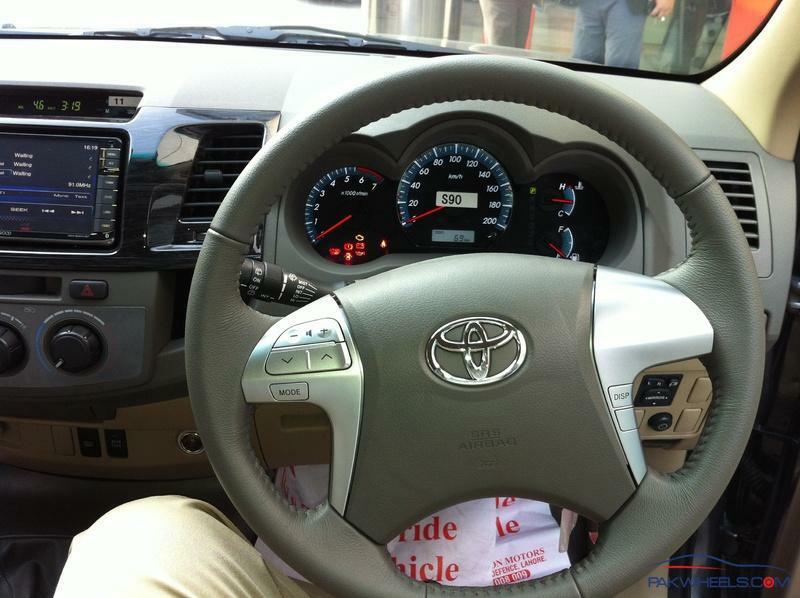 I just test drove new Pakistan assembled Toyota Fortuner 2013. Here's my review of the vehicle along with some pictures I was able to take. Exterior: 7/10 - I saw the one in dark gray mica color and it looked pretty nice. It has a fresh design with nice curves and style. I would personally prefer white color though. Dashboard: 5/10 - Those driving Civics, Premios, Mark X and Surf are not going to be excited about it. It's pretty basic. Although they have given leather steering and black piano trim it still doesn't spark. DVD, gear and speedometer is also average. Nothing stands out. Interior: 6/10 - Tan leather seats and overall ambiance inside the cabin gives it a nice look and there's nothing out of ordinary. However, it feel pretty congested and 3 normal sized people would be tight sitting in the 2nd row. 3rd row is very tight and only 10-12 year old children would fit in there. Drive: 5/10 - It felt quite stiff and heavy. 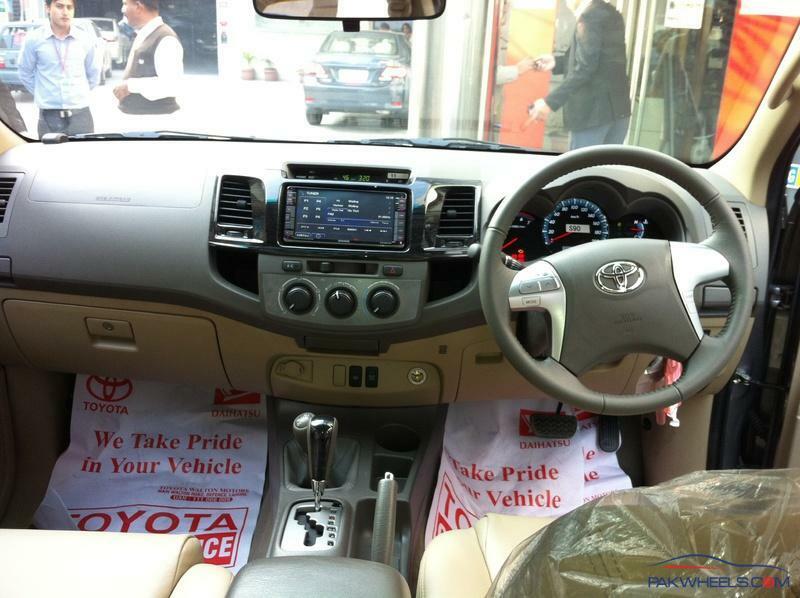 You cannot compare it's ride to Prado or Land Cruiser. At a speed of 100 km/hr it didn't feel very stable on a bumpy road. I believe it will have stability issues on motor way where there are heavy gusts of wind in some areas as well as on curvy roads at high speeds. Engine: 6/10 - The engine isn't under powered; it's just about the right size. It didn't feel sluggish. You won't be able to drag race it with Corolla or Civic though. I know we are going to complain about fuel consumption because it's all time 4WD which isn't going to be a good idea since it's a city car. Price: 4/10 - Now it all comes down to the price which IMC hasn't announced yet but most probably it's 5.2 million. 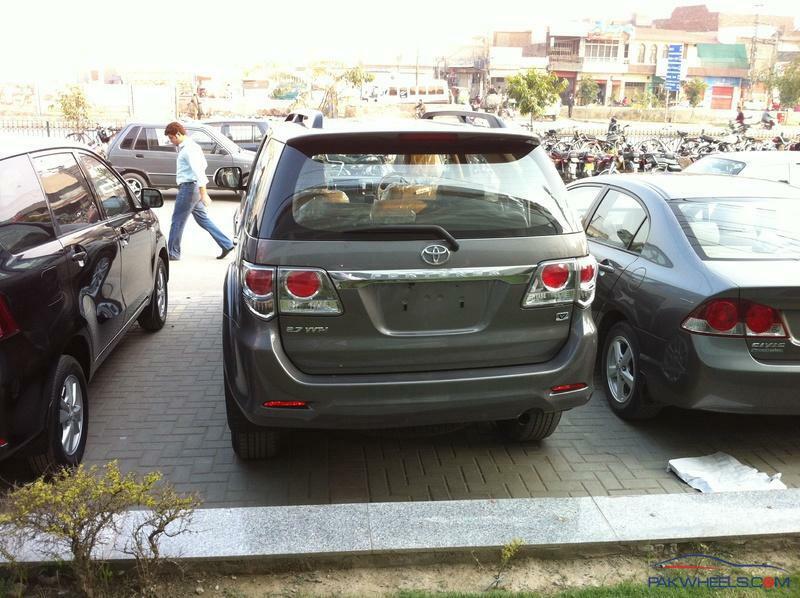 So the question is how much are you willing to throw away for a car that's 6/10 in Pakistani market. Since we have seen comparison of prices of Fortuner with other countries in different threads I am going to repeat the same thing. After seeing and driving it I am more convinced that this car belongs in around 4.2 million bracket. My limit to purchase this car would be 4.5 million. There's no way I am spending 5.2 million on it and after taxes and registration it would be around 5.8 million. Sorry, IMC but I am not up for that. Bottom line: All in all it's not a bad car to own and drive but it felt like an upgrade or big brother of Vigo and then it all comes down to value for money. You need to see what you get in return of the money you spend. I would personally either prefer a Surf or a Mercedes in 4 million range and if I have to spend close to 6 million then I am going for a Prado. Yes, there are people who would buy it for even 7 million and consider it a good price for a "brand new" car but I am not willing to go down that road. IMC would have difficult time selling it over 4.5 million. The Sales Manager at Toyota dealership also said that this car will sell itself at 4.5 million but at 5.2 million it will be very difficult. Initially they might get a good response but it will eventually slow down. Price Comparison: I did a small price comparison with different countries. I used current foreign currency exchange rate. I wonder why is there a minor difference in the price of Altis and Fortuner in other countries and why do we have to pay almost 3 times in Pakistan for Fortuner? I believe that's because Fortuner is not considered a luxury car in other countries and they think of it as an upgrade to a pickup truck. 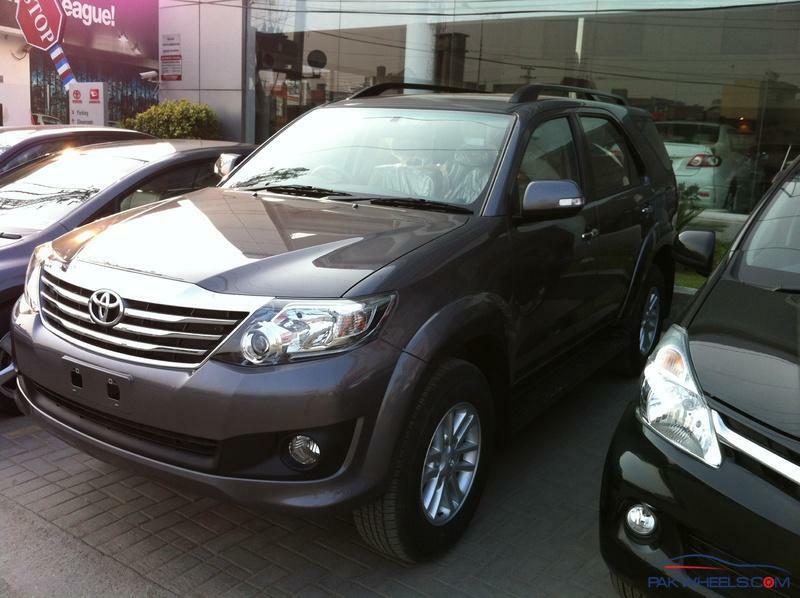 You can see Altis is cheaper in Pakistan than most of the countries then why not Fortuner? Good Move by Indus but price should had been little less ... somewhere around 4-4.3 million MAX ! Nice review. Is this with dual A/C? * Note ; The above prices may be subject to change without any prior notification. The Sales Manager had no idea about anything. To me it looked like he was sitting in it for the first time. I think I was one of first few testers. Although he said they have a training coming up by the end of this month and then they will have all the answers. Toyota only gave 2 dealers display/test cars to get some feedback. I believe they are doing it for price only because they can't change anything under the hood or inside the car at this point. All the want to know is how many people are aroused by it and how much are they willing to pay for it. The Sales Manager told me he already have 5 bookings in 1 day with 1 million advance. Was pushing me for 1 million pay order too. As I said in my review there are people who will buy it at any price but the question is, how many such people are there like that? 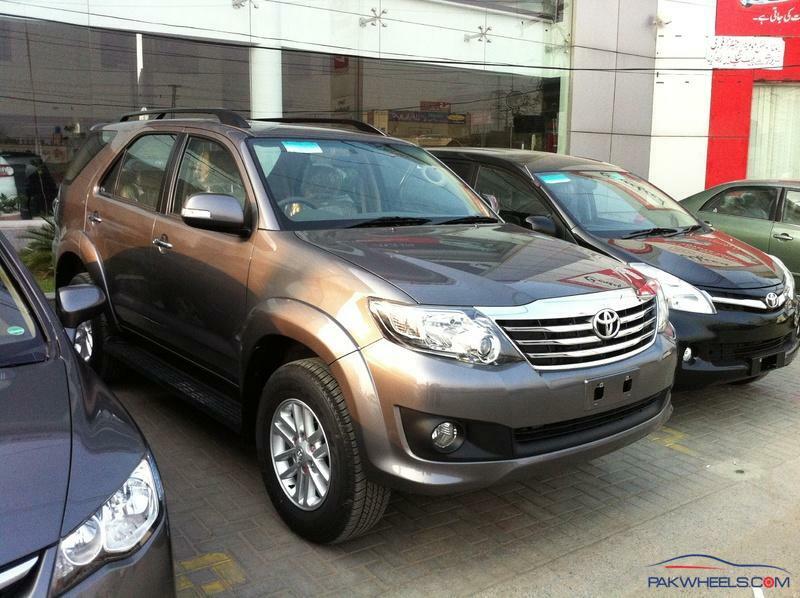 IMC officially accepts that their Vigo is a total flop in Pakistan even after aggressive marketing campaign and I am afraid same thing is going to happen if they don't price Fortuner fairly. Is this with LSD (limited-slip differential) and VSC (Vehicle Stability Control) ? Nice review. Btw y this is all time 4wd? I can see a 4wd gear lever so any idea if one can get it into 2wd mode? Thanks for your reply Brother.indus vigo is flop due to its underpower engine(2.5l without intercooler) and interioer is old grey so people like thai Vigo.Toyota SA never brought out the 2.7vvti Fortuner (2x4 or 4x4), or the 2.5 D4D Fortuner in 4x4 model.Toyota has more derivatives than most others. The % of people that they are not catering for is a small group...I also wondered about the 2.7litre in the Fortuner, but then discovered that fuel consumption is identical between the 2.7 and 3.0l d4d in the Hilux bakkies and I suppose the same would be the case if they were to put it in the Fortuner. Who in their right mind would drive a 2.7l if you can drive the glorious 3.0l d4d! The only difference may be price . Yes you are right brother. so the price is not final yet?? Thanks KSK bro for sharing your 1.st hand impressions. I've a feeling that the showroom is Toyota Cantt's, Walton area. Nice effort and thanks for taking out your time. Well, it seems from your comments, you weren't feeling quite stable in the 100Kms speed range. And do you mean it, all-time 4wd? Let me say, I'm no longer scratching the back of my head, anymore. At this price, I'd have better options. I'd need to feel it personally before passing on final comments, however, but so far the expected price level is a heart breaker. I wonder about those people who even paid +8 mils for this thing!!!! I have added price comparison with other countries in original post. IMC needs higher margins on this, since the volume is going to be much lower compared to other countries mentioned by the poster. Personally, I think it's a shame they haven't given cruise control. 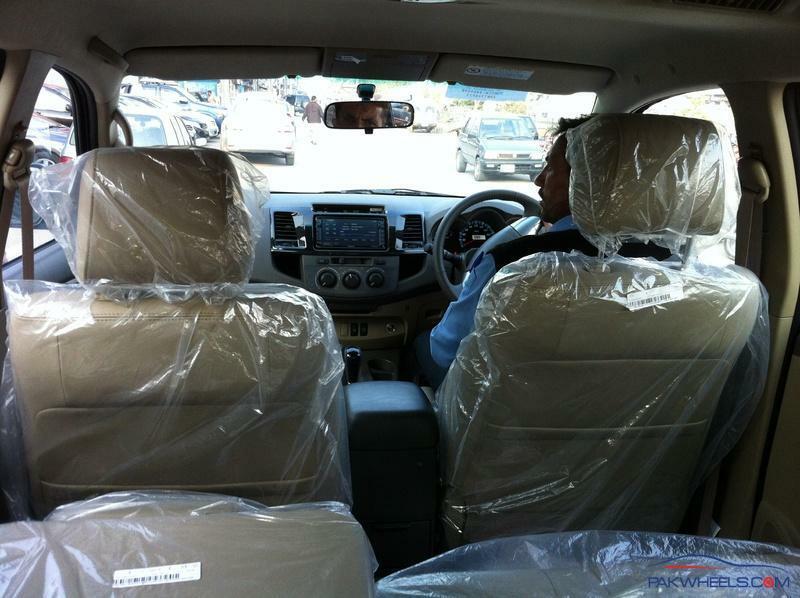 Only other concern are the seats, if they're as bad as the corolla's (facelift) it'll be a problem.